• Economical way to get extended corrosion protection over Zinc. • Easy to make black - Does not need silver based black chromate. Krishna YPB Electro Chemicals Pvt. Ltd.
Electroless Nickel Plating. Zinc Nickel Plating. Electroless Nickel Plating. Zinc -Nickel Plating. Trivalent zinc plating prevent oxidation of the protected metal for a longer period of time . ALCYON products are brighteners for low cyanide up to high cyanide Zinc plating baths. The Zinc layers achieve a beautiful brightness, good throwing power and a high deposition rate. All ALCYON electrolytes provide superior temperature stability and can be handled with low concentrations of cyanides. We offer wide range of AL 87 Metal Sat. 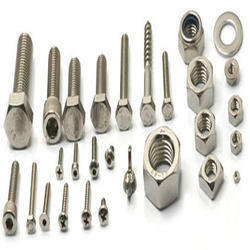 We are offering Zinc Plating Plant to our client.